Bermuda sailors were back on the waters of Cyprus competing in the World Optimist Championships, Day Three saw them sail two more races to take the total to six for the series. 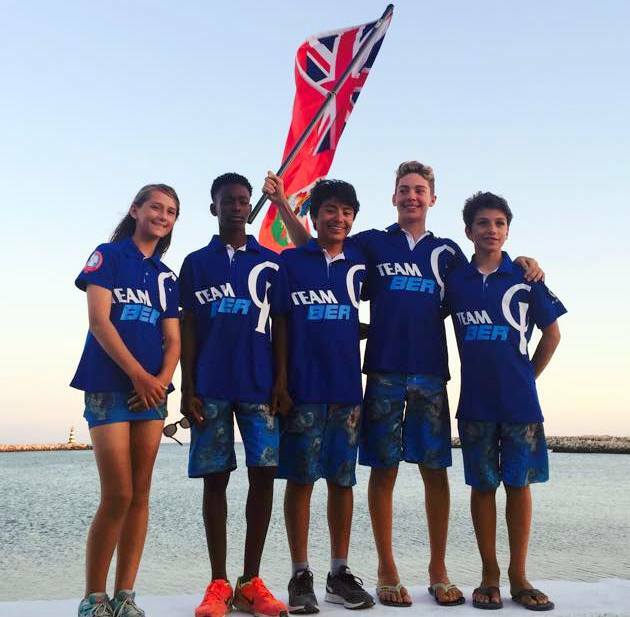 Representing Bermuda are Christian Ebbin, Sebastian Kempe, Ahzai Smith, Magnus Ringsted and Leyli Walker. Kempe remains the leader of the Bermuda Fleet he fell 28 places from 45th to 73rd place with 92 Net Points, Ebbin moved up 28 places and ended the day in 77th with 99 Net Points. Walker is 195th with 211 Net Points, Smith finished the day in 226th with 251 Net Points and Ringsted is 231st with 254 Net Points.